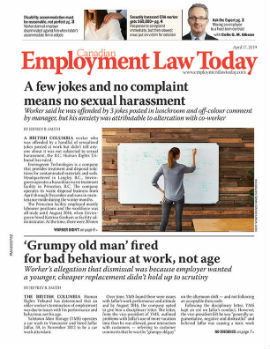 Question: If an employee is asked to sign a new employment contract with some changes (such as termination provisions), what would be typical considerations to be offered to the employee? Is consideration required if the employee hasn’t officially started work yet? Answer: This question raises a very important issue. In order to have a legally binding contract, both parties must receive some form of consideration. Back when I was in law school, our professor used to explain this through a fairly simple demonstration. First, he would pick one of the students, and offer them $100 in exchange for his T-shirt. When the student accepted, he proclaimed that there was a binding contract in place, as both parties were receiving some benefit from the arrangement. By way of contrast, he would pick another student and say “I’m in a good mood, and I’m going to give you $100.” Although the student accepted, our professor explained that this was not a binding contract, but simply a “gratuitous promise.” That is because although the student was going to receive $100, the professor was not receiving any consideration for his agreement.